Time for another DRAT roundup and you really do NOT want to miss these talented artists! Need gifts? Need to decorate your home? Need accessories? This week I'm featuring our sculptors! These artists turn ordinary mud, wood, and metal into phenomenal works of art! These talented artists always blow me away! Feel free to browse their wonderful shops and see all of our artists at Dirt Road Artists! And now for this week's talent! Having a party?! 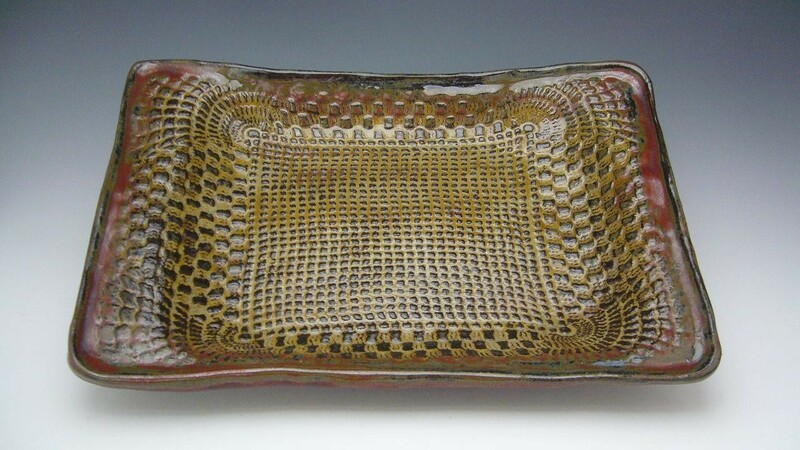 Serve your favorite appetizers in style with this handmade stoneware serving tray. Perfect for serving all your favorite finger foods! The ant images add loads of character and charm to the simple form of the tray - sure to be a conversation piece. 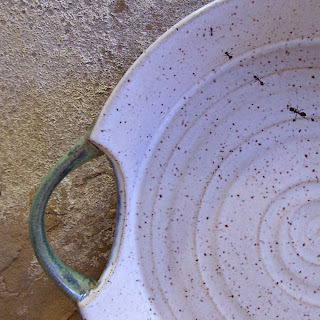 You HAVE to check out this shop for all of her funky, fun, functional and gorgeous pottery! 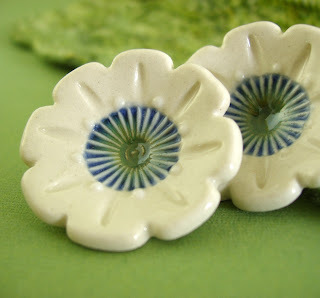 Here's a pair of stunning handmade porcelain buttons that would be a lovely finishing touch for a handmade project like a scarf, bag or sweater. Let Ginpins help you make all of your projects even more beautiful! You can see all of her stunning artwork by visiting her shop today! This is a stoneware one of a kind slab constructed platter. A vintage doily was used to make the impression in the clay. This is a great way to make a lasting treasure from a handmade doily! And they will even use one of your doilies to create a stunning keepsake just for you! What a beautiful gift for you or someone you love! 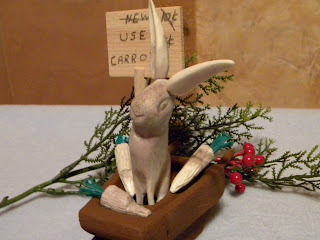 This bunny sculpture is carved from a single tine of a naturally shed deer antler. As a woodcarver, I can tell you sincerly that this is a gorgeous piece of high quality artwork! Be sure to hop on over to Horny Critters and see all of their fun creations! 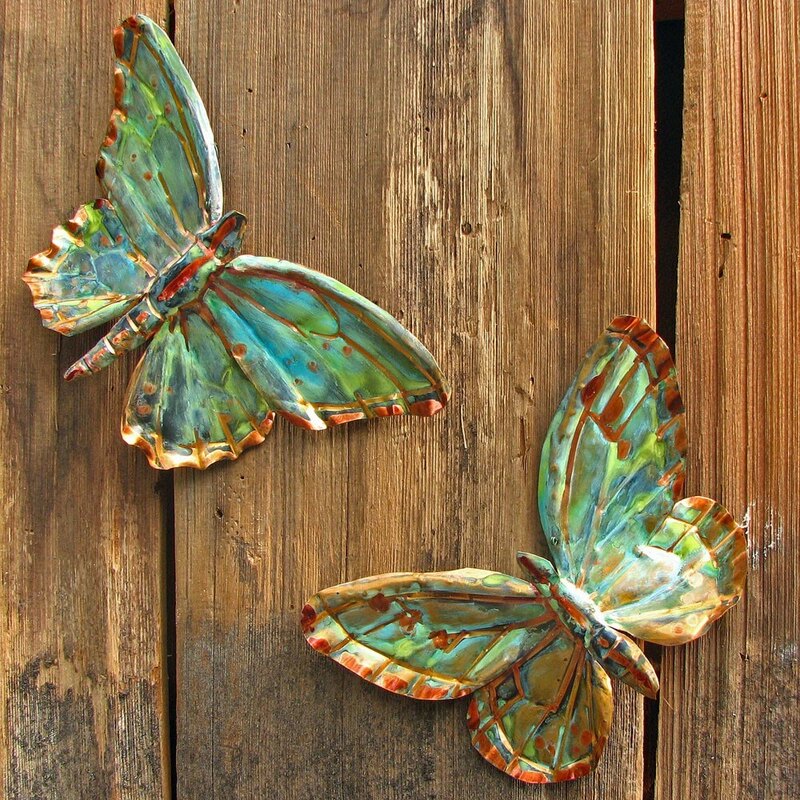 It's difficult for this artist to keep the copper butterfly sculptures in their Etsy shop because they sell so quickly. 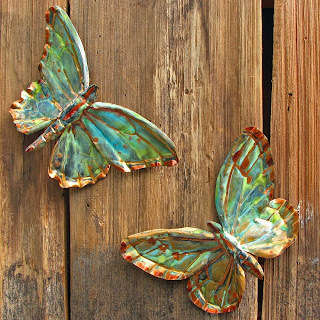 And with such wonderful whimsy and gorgeous patina, it's no wonder they fly out of their shop! Let them create a pair of exquisite butterflies just for you! Enjoy these great shops and have a great weekend everyone! What wonderful talent in these artists! I want them all! Wonderful work from a very talented group! Our Newest Addition To Hick Town! Fresh New Look - Same Great Soaps!